There is certainly no lack of cuisine and culture in South America and if anything these options in this area are almost unparalleled anywhere on the planet, possibly with the exception of Europe. The ancient Mayen ruin of Palenque in Mexico. Photo credit: Shutterstock. The diversity of cultures, particularly indigenous is quite amazing. There are the well-known pre Colombian civilisations like the Incas, Mayan and Aztec but to mention these is just touching the surface. In Peru there is the Moche, Chimu and Nazca just to name a few. In Chile examples include the Mapuche and the supposed giants of Patagonia, the Tehuelche. These civilizations were all very different and had different customs, hierarchies and architecture. And some of them were amazingly advanced, well before Europeans came along. Intricate courier systems spanning thousands of kilometres, tunnels, vast cities atop mountain ridges supported by complex retaining structures, medicines more advanced than anywhere else on the planet at the time and even brain surgery. The archaeological ruins are of course the most obvious tourism legacy of these civilizations. 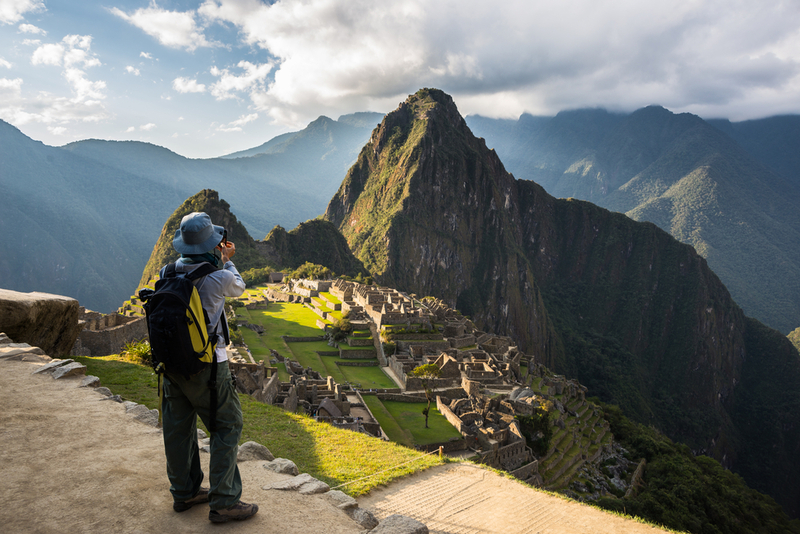 Machu Picchu, near Cusco in Peru, is wonder of the New Seven Wonders of the World and a destination known the world over. Peru in particular has a wealth of archaeological ruins and other notable ruins just in the Cusco area include Písac (In the Inca’s Sacred Valley), Sacsayhuaman (the famous ceremonial site for the Inca Inti Rami festival, otherwise known as the festival of the Sun), Ollantaytambo (one of the few battle sites where the Inca defeated the conquering Spanish) and Coricancha (Once Cusco’s most important Incan ceremonial site but subsequently a Roman Catholic Church and a unique mix of Inca and Catholic architecture). The coast of Peru has a wide range of other, mostly non-Incan ruins. 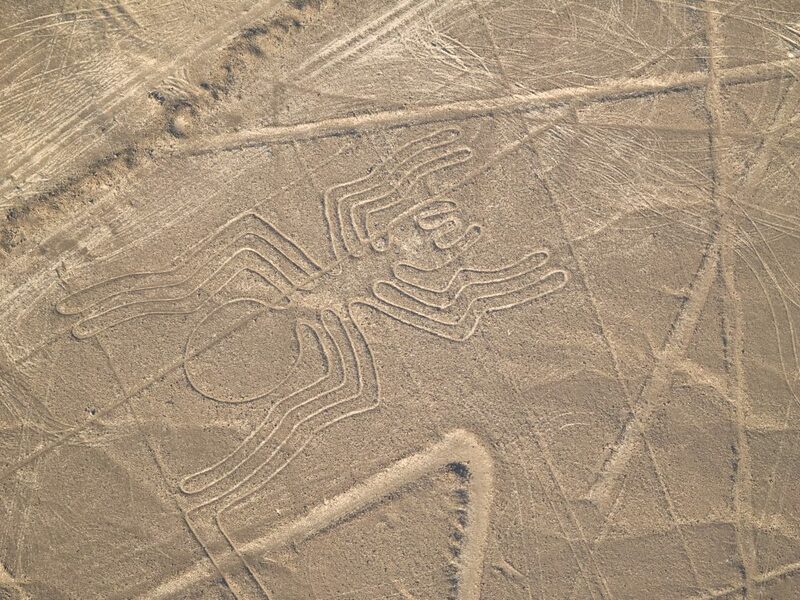 For example, to the south of Lima are the famous Nazca Lines (created by the Nazca people you may be unsurprised to learn) which are mostly only visible from the air and require an overflight in a small aircraft. To the north of Lima are relics of the Moche and Chimu civilisations including Chan Chan (The Chimu culture’s capital and the world’s second largest archaeological ruin after Angkor Wat in Cambodia) and the Temple of the Sun and Moon (Moche). The Sipán burial site is also well worth visiting and it you want to get a little off the beaten track there is always Kuelap, the mountain fortress of the Chachapoyas people. 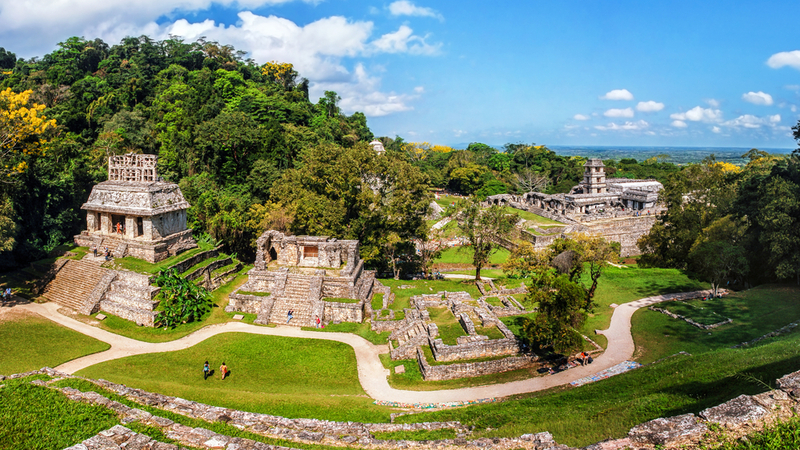 Southern Mexico, Guatemala and Honduras make up another hot spot for Archaeological ruins. Scattered across these countries you have various ruins from civilizations such as the Aztec, Mayan, and Toltec just to name a few. 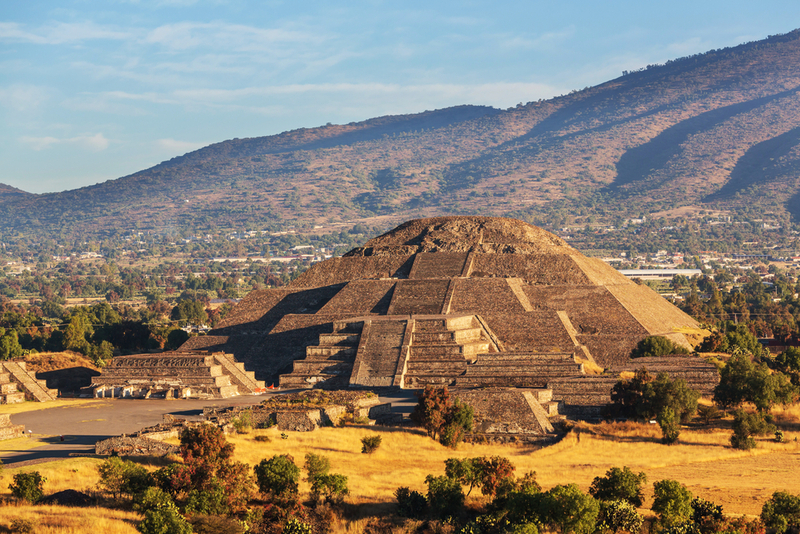 Just outside of Mexico City are the ruins of Teotihuacan which are very impressive but obviously crowded due to their proximity to one of the world’s most populous cities. Another site people may know is the heavily reconstructed Chichen Itza ruins, which are mostly famous due to their proximity to the mega resorts of the Cancun and Playa del Carmen region of the “Mayan Riviera”. Chichen Itza is an interesting site but it is massively overcrowded. 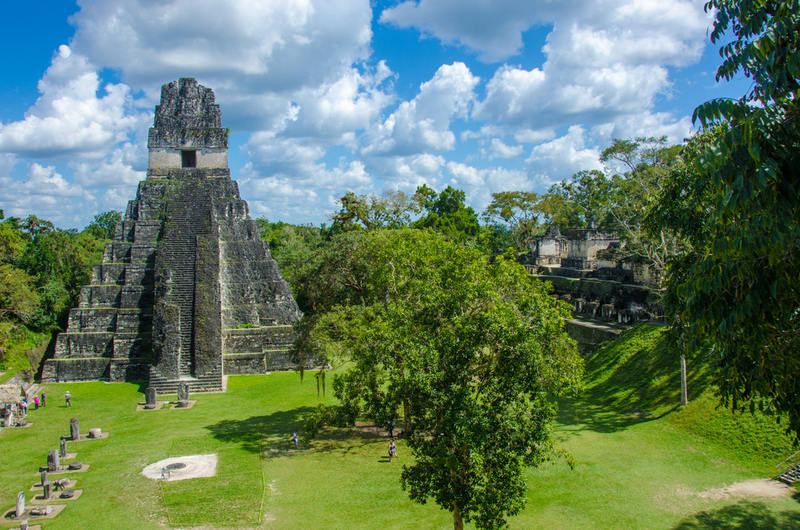 A short distance from Chichen Itza are fantastic ruins such as Palenque (southern Mexico) and Tikal (northern Guatemala). At Chimu we tend to think that these two sites, combined with the impressive but difficult to access Copan ruins in Honduras, are some of the most impressive ruins in Central America and visiting at least one of these three ruins is highly recommended as part of your trip to Central America. Outside of these two archaeological “hotspots” there are still pockets of pre-Colombian (pre-Spanish conquest) ruins in locations such as Ecuador, Bolivia and the north of Chile and Argentina. 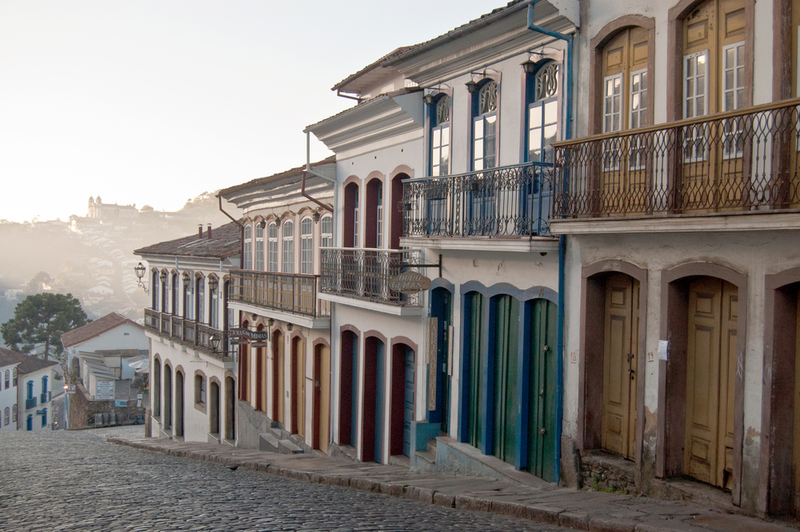 Colonial Architecture in Brazil. Photo credit: Shutterstock. An in addition to all these fascinating ancient cultures there is the European Colonial influence – mostly Spanish and Portuguese but you’d be surprised how many other European cultures have influenced the region – Italians, Welsh and English in Argentina, Germans and Japanese in the South of Brazil. There are Chinese in Peru and French and Dutch in the Guianas. In the north of Brazil and even in small Central America pockets such as Honduras there are considerable populations of people of African heritage, mostly a result of the slave the trade. There are also the fortified colonial cities such Campeche (Mexico) and Cartagena (Colombia) which herald back to age of pirates and buccaneers in Caribbean waters. 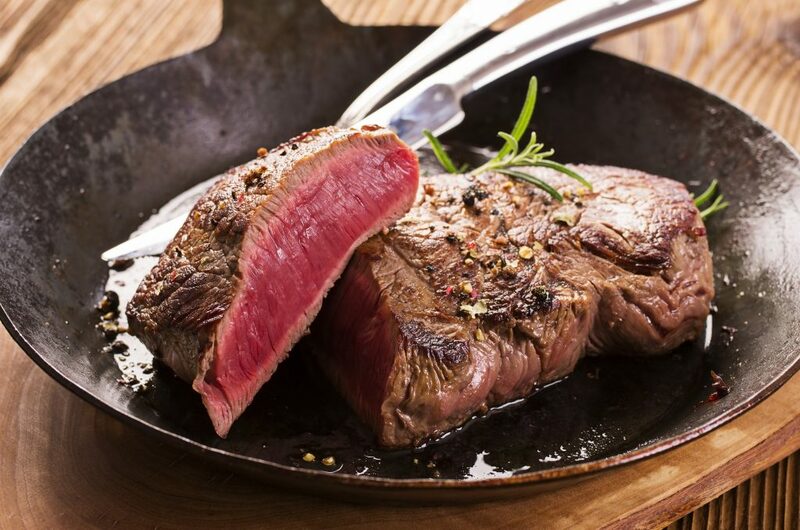 Argentina is famous for its steaks. Photo credit: Shutterstock. So it’s unsurprising given the melting pot of influences that the cuisine and culture in South America is as spectacular as it is diverse. Everyone knows that Argentinean steak has a reputation for being mouth wateringly tender, but that’s just the tip of the iceberg. Every country an even regions within countries have their own cuisines and dishes – some starting to become better known around the world and others still very much waiting to be discovered. It’s no surprised that four of the world’s top 20 restaurants (one in 5) is in South America. It’s often forgot how dull European diets were prior to the colonisation of the Americas. It’s more common knowledge that European cuisine was enriched by the teas and spices of the east and although spices and teas from the America’s may not have had the same impact as they did from Asia – vegetables from Latin America arguably had a far greater impact. A sizable chunk of our mainstream fruit and vegetables today come from Latin America. These include: corn, tomatoes, chillies, capsicums, potatoes, pineapples and bananas. Mexican food. Photo credit: Shutterstock. Two countries in particular that have very strong cuisine and culture in South America are Peru and Mexico (unsurprisingly the two counties that also had the two largest pre-Spanish conquest civilizations in the Incas and the Aztecs). In the west we think we know Mexican food but to be fair the “Mexican” food that we know is mostly American style “Tex-Mex” rather than traditional Mexican cuisine. 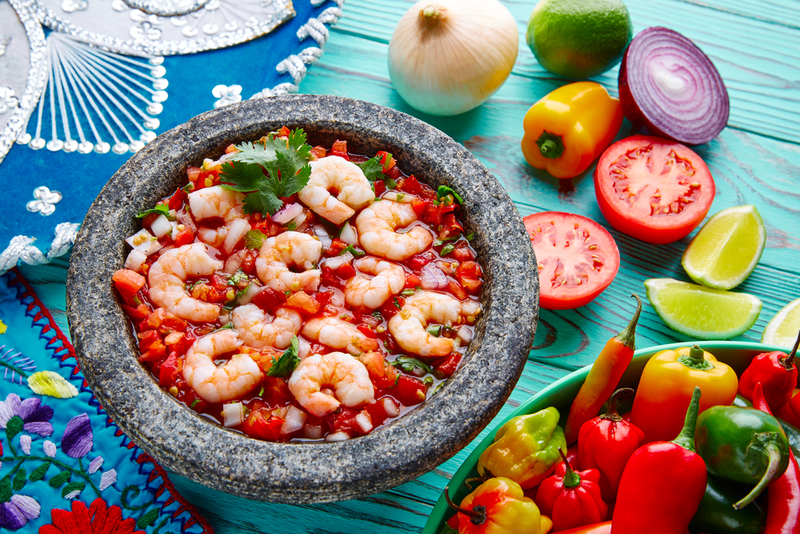 To get a real taste of Mexican cuisine, consider travelling to Oaxaca, the food capital of Mexico, where markets sell a dizzying array of chilies and other foods. 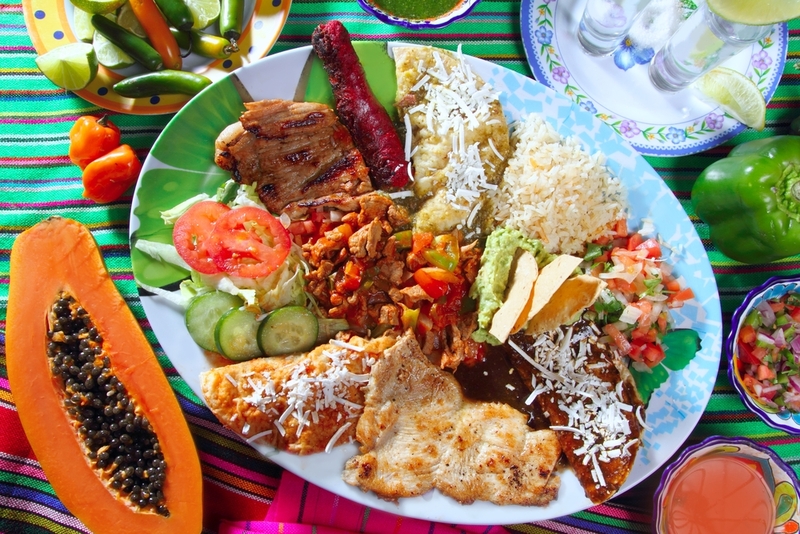 Local delicacies can be sampled at street stalls and you could easily eat your way through Oaxaca for a week. Ceviche, the national dish of Peru. Photo credit: Shutterstock. Peru is a the cuontry known for its cuisine and culture in South America. Peru’s influence has been more discrete, until recently. Even now Peruvian restaurants aren’t exactly mainstream, although they are starting to become very common in major western cities. Dishes like Ceviche and drinks like Pisco Sours are becoming more widely known. Peru is a cuisine on the rise and as a lot of its influences are indigenous rather than European it’s probably only going to become more popular due to the fact that it’s so different to the status quo, mainstream cuisines. Within Peru food is almost a religion. If you get a chance, make sure you visit Lima’s sprawling “Mistura” food festival in September. The festival is held on the Costa Verde on the coast of Lima and Peruvian chefs and restaurateurs compete just to exhibit and sell their food at the festival. The result is an almost endless variety of stalls, featuring high quality and innovative food from all the regions of Peru. 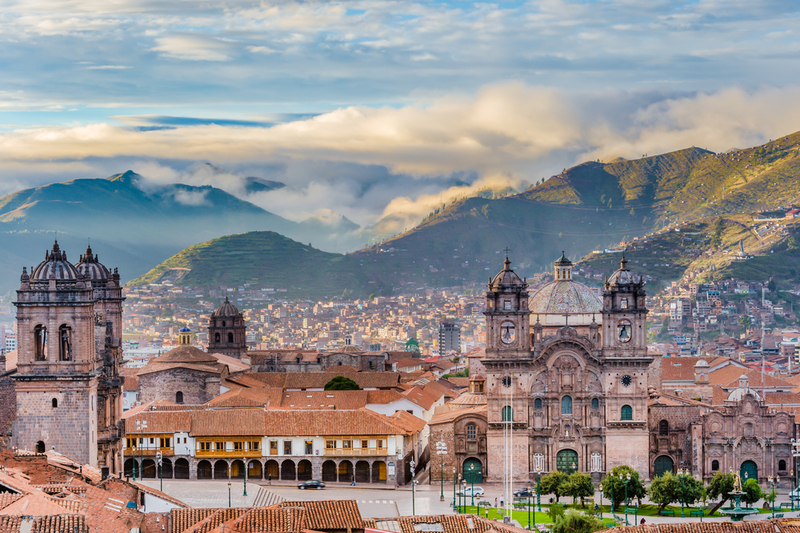 Innovation and food really do go hand in hand in Peru – unrestrained by the laws of European style food dogma, the Peruvians are forever coming up with unorthodox but delicious variations on their own cuisine. 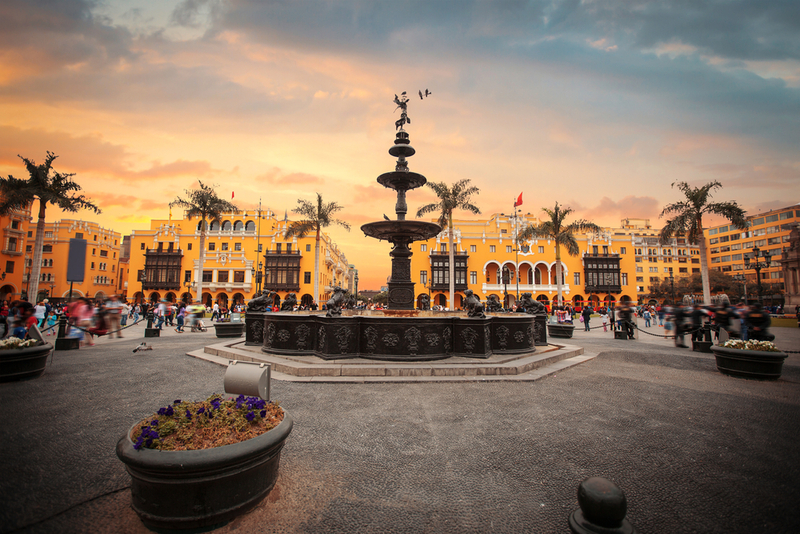 To taste the best of Peruvian food, stay for a few extra days in Lima and consider eating at some of Peru’s best Peruvian restaurants such as Central or Astrid y Gaston. Make sure you book well ahead as they are always full months in advance. Now you have read about how to plan your trip if you like cuisine and culture in South America, read one of the other ways to plan your South America Tour and make your trip unforgettable.